As you know, I like to share a mixture of app types. Since it’s coming to Christmas time, that usually means seeing family and that might mean coming across some of the younger members of your family. This is the kind of app that would really entertain them as they can change their voice to squeaky little chipmunks or even deep manly giants so simply. If you’re of a child-like disposition, you might as an adult, even find this slightly entertaining too. It’s interesting that it’s also a featured app at the Nokia app highlights and WP Marketplace. From chipmunk to humpback whale. 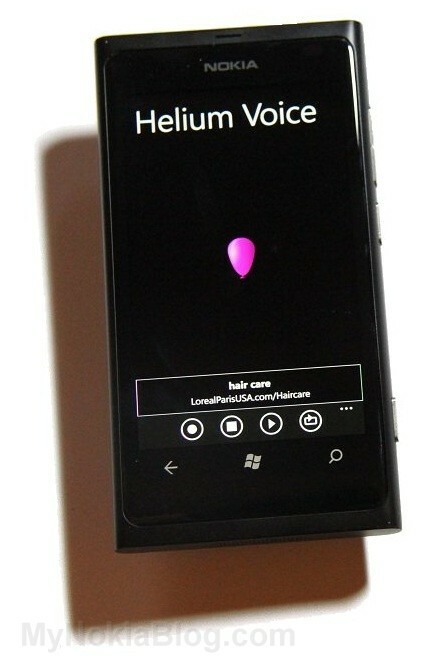 Record your voice, have fun with the helium balloon and upload your recording to the cloud. It’s all super easy. Isn’t it fun to inhale some helium from a balloon to pitch up your voice? This is now also possible with your Windows Phone. 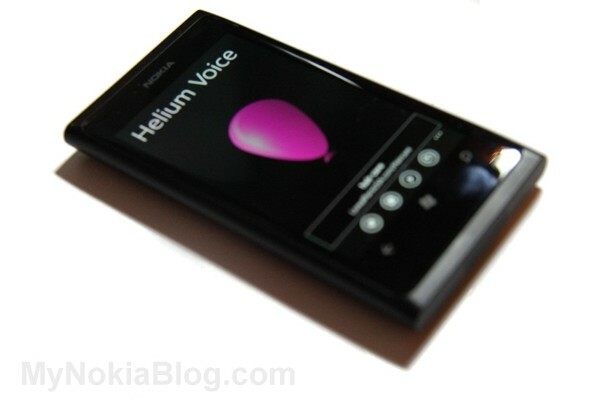 Just record your voice, then move your finger up or down over the balloon to inhale or exhale helium from the balloon. 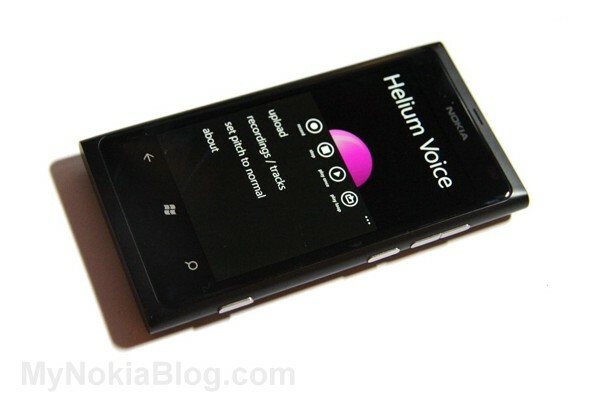 It’s also possible to make a deeper voice with Helium Voice. You can then upload your recording to SoundCloud.com and save it forever in the cloud. You can also share it with your friends on Facebook,Twitter or via email. You can also listen to your recordings / tracks you uploaded to SoundCloud from within the app and also discover what other users publicly uploaded with the app. It’s also great fun to listen to the funny recordings from other users. The last recording is saved and automatically loaded when the app is restarted. The app is a ton of fun for young and old. Shirley wrote: “What fun! I’m 62 and I sang “happy birthday” to my 83 yr old Dad with this app. It’s like being a kid again. The app is quite simply, you have a pink balloon in the middle which you can change the size. I think it might be nicer if the balloon could possibly change colour, warmer colours (reds/yellows) for higher voices and cooler blues for deeper voices. Maybe have something going on in the balloon? Very simple to use, just drag your finger along the balloon. Shrinking it makes your voice higher and enlarging it makes the voice deeper. First you need to record your voice. At the bottom is the toolbar and you’ve got a button to record, stop, play and repeat.. Settings allows you to upload to soundcloud if you want. There’s another app that I recorded a while ago that does a whole lot more in terms of changing your voice, and I did also like that you can save voice recordings on the handset and share them. It would be nice to have that here. I’ll show that app another time. 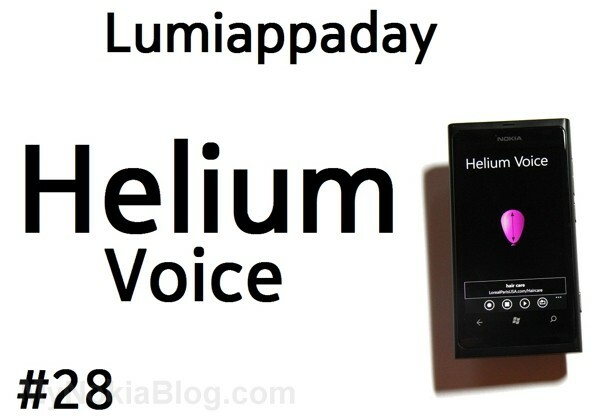 For simplicity’s sake, and for the fact it’s called helium voice – it does what it says. Helium voice changing works as advertised, quick start up, stable. Each time you start up, it will still have the last recording (just in case you ever did exit and did not upload). Trying to sign up to soundcloud from the app didn’t work. I could only enter details on the log in page but I couldn’t switch the tab to sign-up. Free with advertising or you can pay £0.79. The app we’ve got is the free one and we’d rate that 10. The paid app, I’m not sure I would pay 79p for this. Fun simple helium voice changing app for kids.